The first step in a cyborg project that seriously aims to build the future was announced in March this year. It is not a type of project along the model of existing design work that receives orders and produces them accordingly. It is a vision-driven project where technology, finance, and creation are integrated into one. 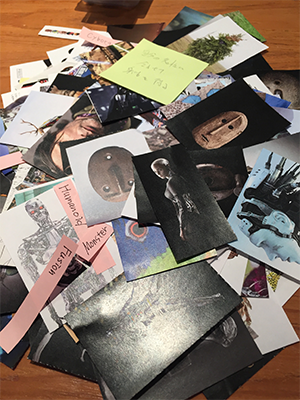 Its driving force represents future roles of creative initiatives and design. As to the software that is paired with the hardware, Seki says, “We accumulated experience and knowhow through a lot of trial and error, and came up with a theorem to move the difficult-to-control mechanism.” The acquisition of the control algorithm, as Seki says, enables smooth movement that was previously impossible. MELTANT-α that realized both power and dexterity from development of hardware and software is envisioned for use in hazardous environments, such as nuclear power plants and outer space. By going through the thought experiment, the understanding by Yoshiizumi actually deepened considerably. A prototype that was dedicated to the hand movement of MELTANT-α was a passing point towards a grand vision that leads to “a future when people choose their own bodies” after realizing the cyborgs. 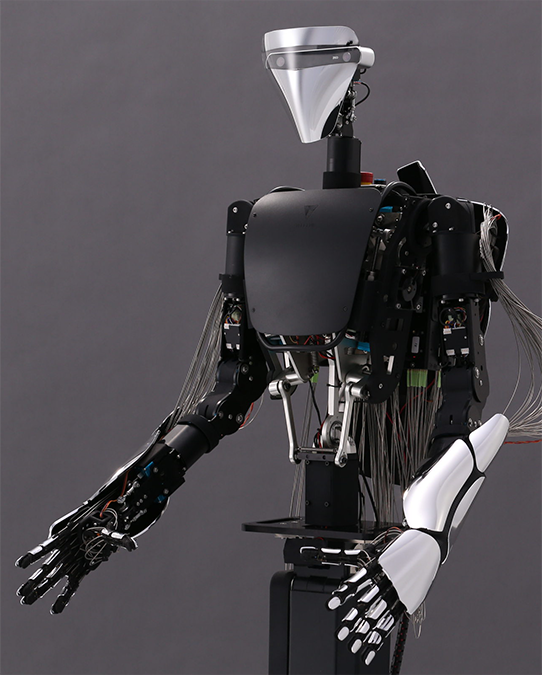 The robot arm that is their core technology at this point is also a means to express the future that MELTIN advocates. After several thought experiment sessions, Yoshiizumi proposed a concept called “anima/design that instills soul.” Using the Latin word for life or soul, he expressed a vision that redefined physicality. 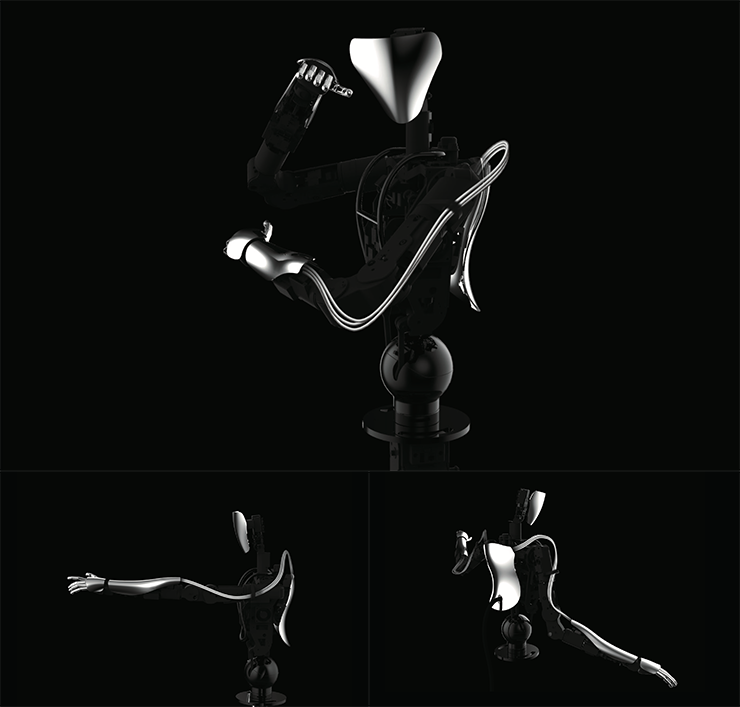 Moreover, they set the product design concept as “Highlight the Motion” and endeavored to embody design that is instilled with soul with three elements: “contrast,” “posture,” and “wire.” “Contrast” is an idea to focus solely on some points of the body including the arm, face, and back. By accentuating those parts, the presence and movement of MELTANT-α appear to stand out. A posture instilled with soul is expressed by keeping the cowl that covers the body to a minimum and doing away with unnecessary parts. The cowl on the backside gives an overall impression of the backbone and shoulder blades. As the wires that extends supplely from the cowl to the arms function as muscles and tendons, they straightforwardly express the characteristics of MELTANT-α that imitates the structure of the human body. 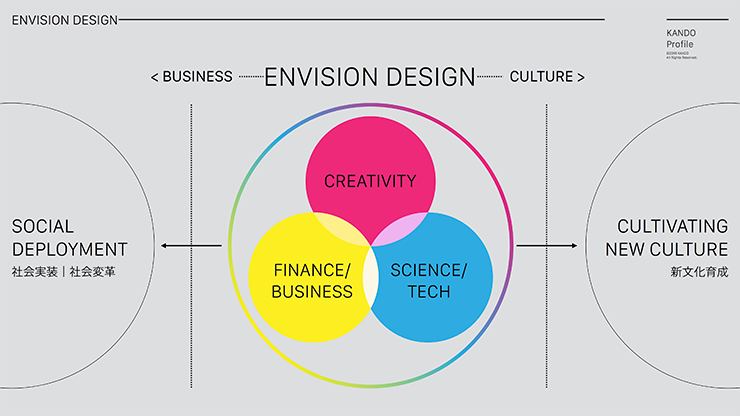 Envision Design is a venue where players from creation, technology, and finance gather, and aim toward the realization of a single vision. The first project and implementation case of the endeavor turned out to be MELTANT-α. The driving force for executing an unprecedented project suggests future roles of creation and design. We look forward to the endeavor and future development of a new game changer that earnestly aims to change the world. KANDO is the most efficient method of innovation is through an interdisciplinary and collaborative use of Creativity, Science/Technology and Finance/Business.